The Clown Loach (Scientific Name: Chromobotia macracanthus) is a common and popular freshwater aquarium fish. This member of the ‘loach’ family is adored by fish keepers and is one of the most brightly-patterned species. Originally from Indonesia, clown loach is easily available worldwide from breeders and freshwater aquarium traders. Q. 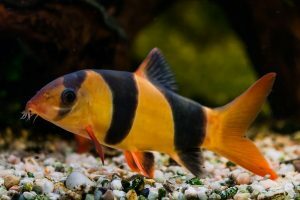 Can clown loaches be handled frequently? The clown loach has a movable spine present below the eyes that can be extended to inflict a painful sting (though non-venomous). Hence, you might want to be careful while handling it every now and then. Q. Are there any signs to look for to know if your clown loach is sick? If your clown loach is infected by ich, it might show up certain symptoms like white spots on the body. 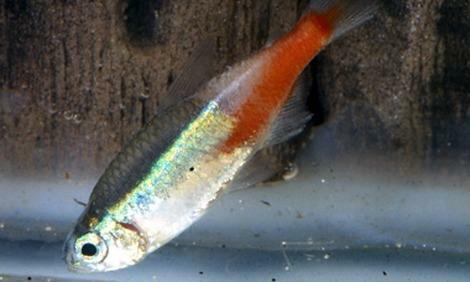 In case of another parasitic condition, commonly referred to as ‘skinny disease’, your fish will begin losing weight (leaving them ‘skinny’), no matter how much they eat. Q. Is it normal for a clown loach in the aquarium to lay on its side, or swimming up and down the glass? 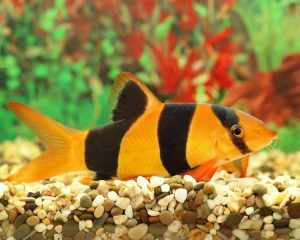 Playing dead is normal in clown loaches. 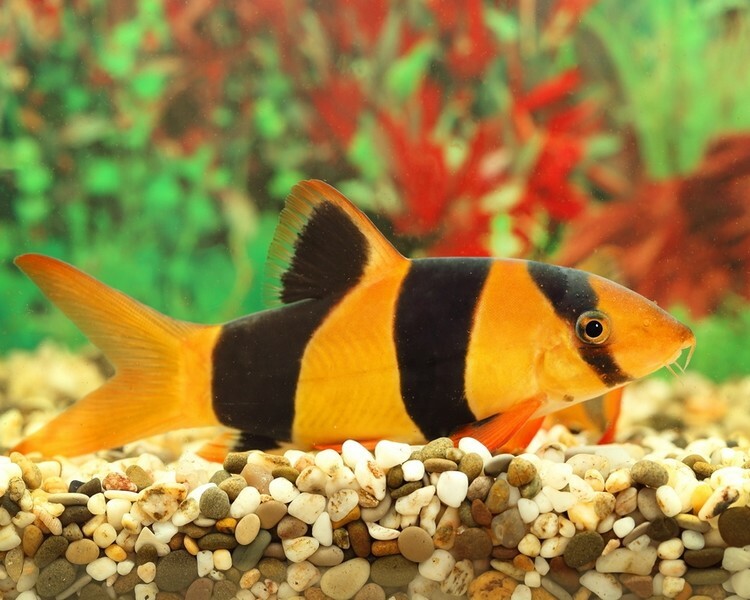 Though many fish owners wonder if this is a sick behavior, it is perfectly fine for clown loaches to sleep or rest, laying on their side motionless. 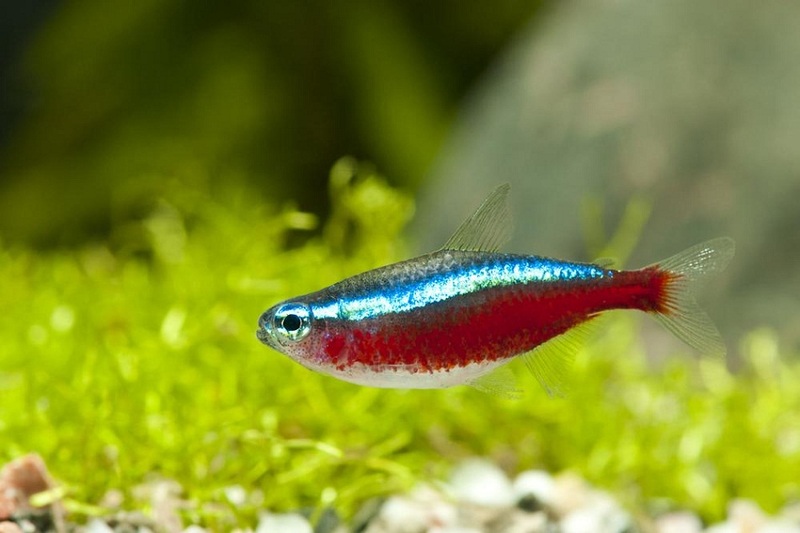 Also, swimming up and down the tank is the way they play, which is also quite normal. Q. 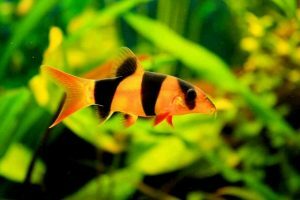 Can clown loaches get too aggressive, or eat other fishes in the tank? As mentioned, clown loaches are extremely well-behaved, peace-loving community members, and would not usually disturb or eat up other species. 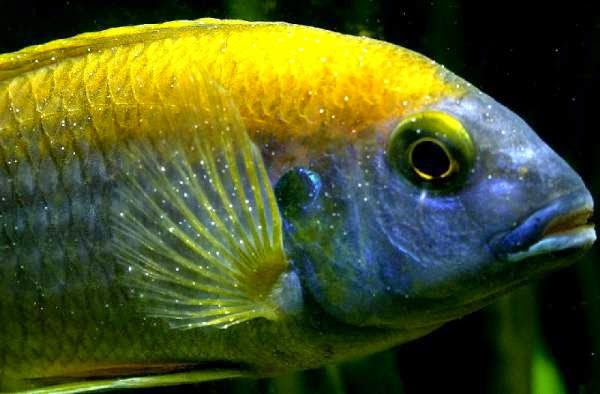 Though groups of clown loaches have been noticed pricking on the fins of other beautiful species including fancy goldfish, African cichlids, killifish, and guppies, it is very rare. Q. 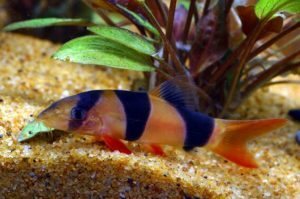 Do any other fish eat/kill clown loaches in a tank? Larger varieties of catfish, mbuna, sharks, etc. 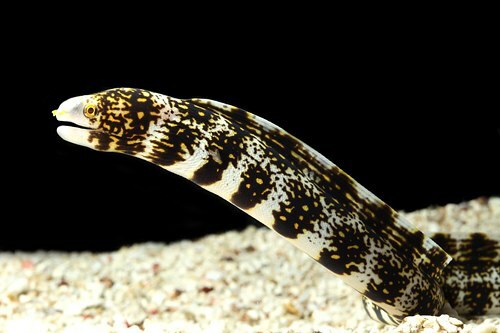 might be aggressive in certain situations, and hence, are not compatible with the clown loach. 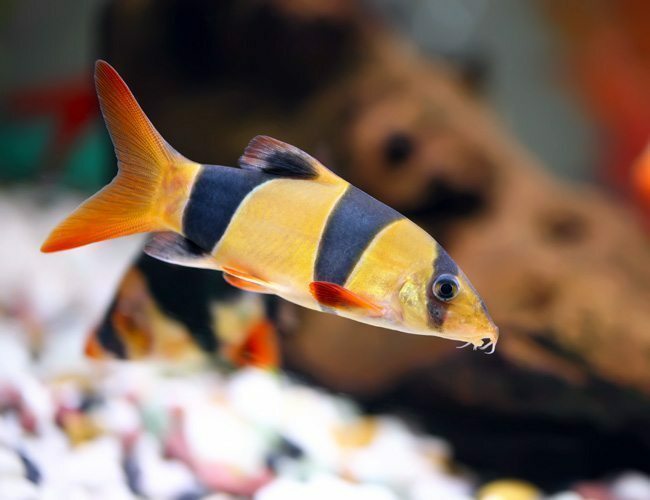 Clown loaches express certain emotions/instincts like happiness, territoriality, or mating time by emitting clicking sounds that they produce by grinding their pharyngeal teeth. Unlike many other nocturnal loach species, the best time to watch the activities of the clown loach is during the day hours. 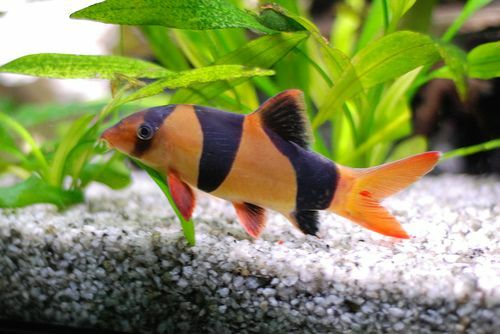 Clown loaches dance when they are hungry, or searching for food. The albino specimens, equally popular like their regular counterparts, have their black bars replaced by white ones.